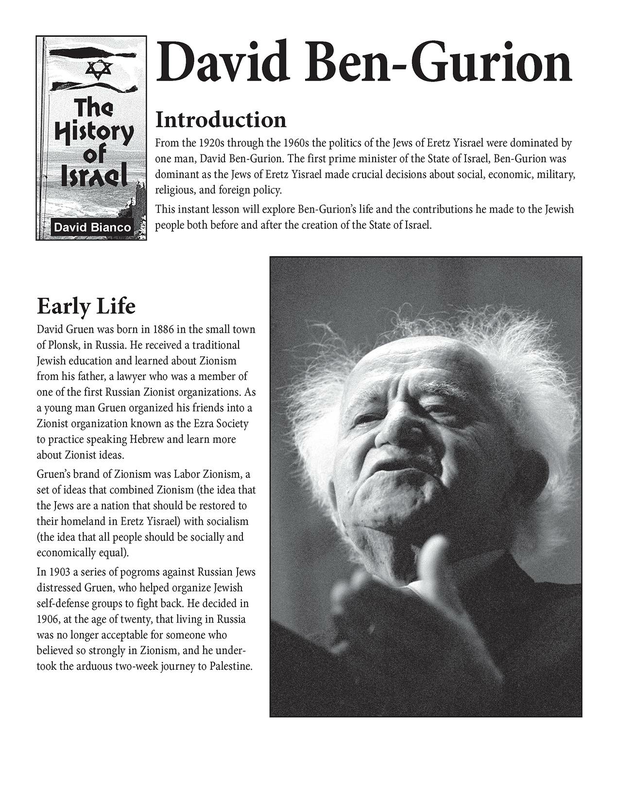 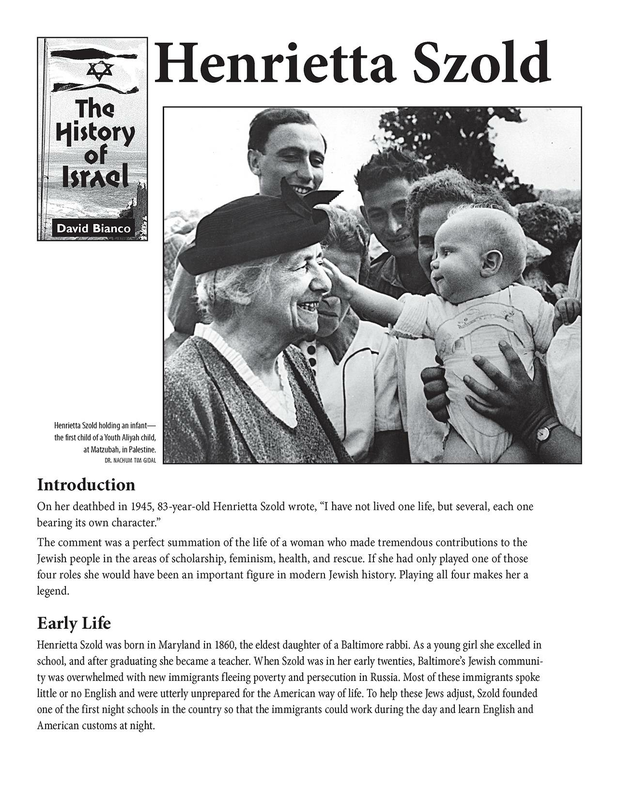 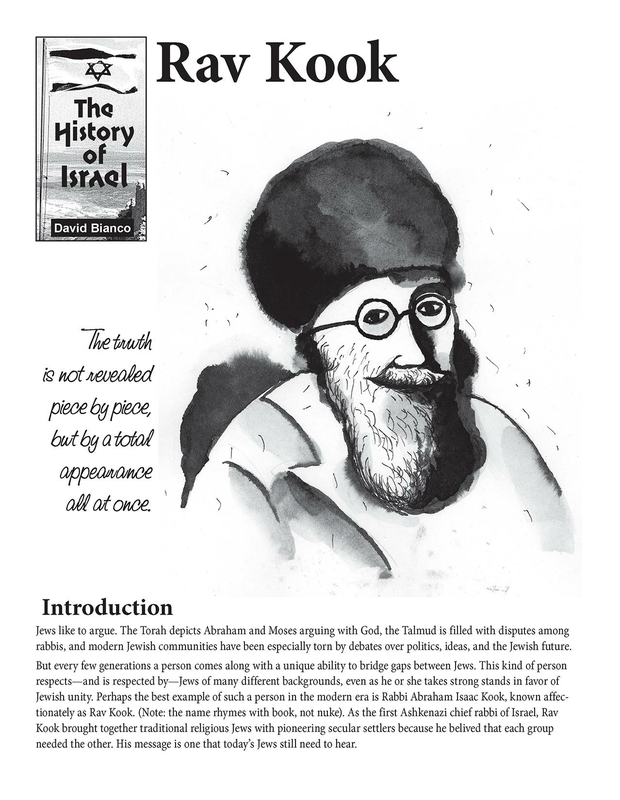 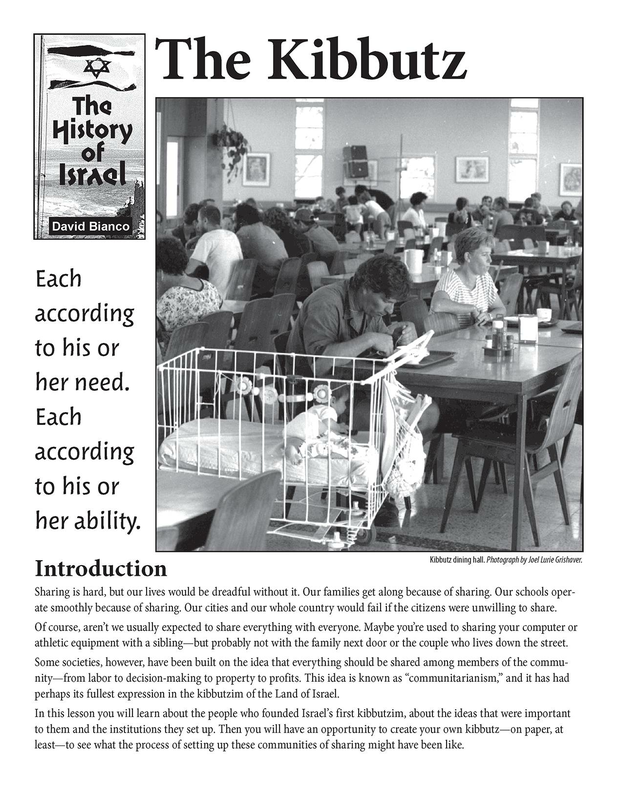 Grades: 6-Adult The History of Israel Instant Lesson Series is a resource for teaching about the evolution and development of the State of Israel. 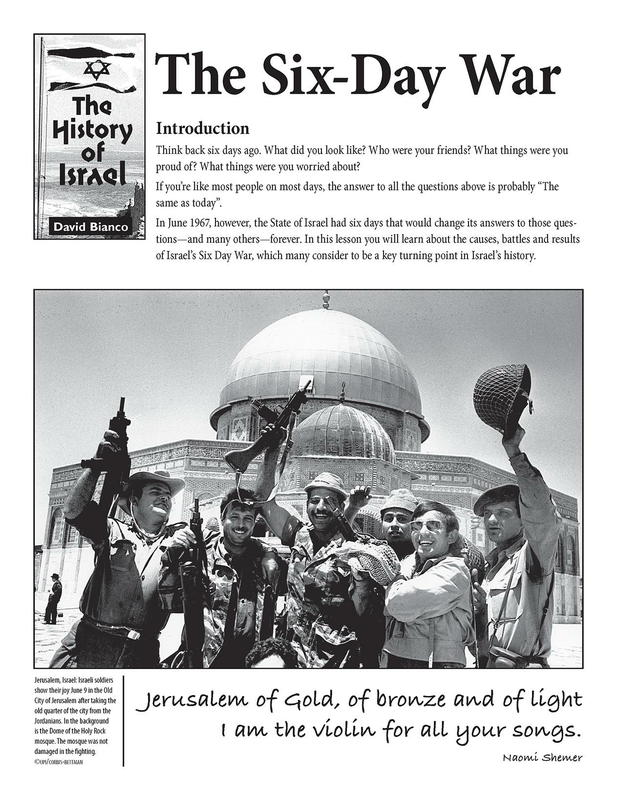 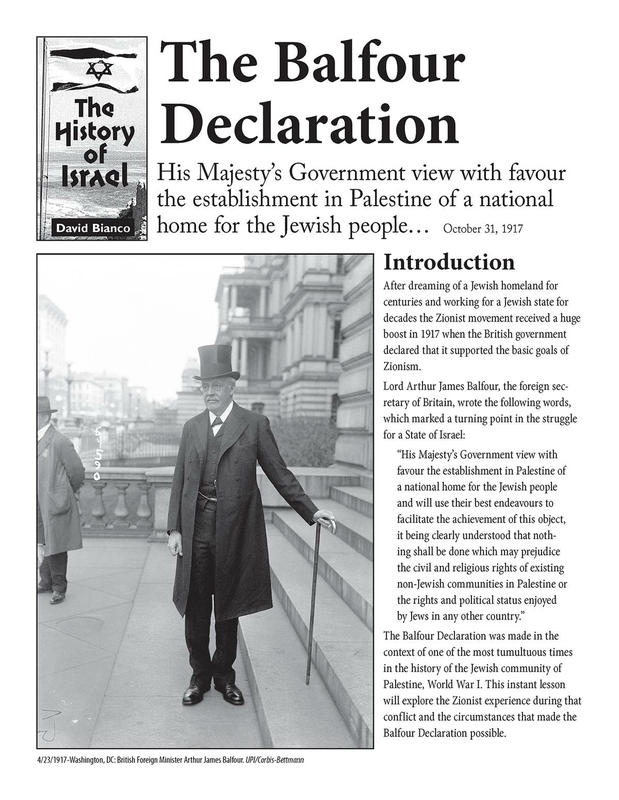 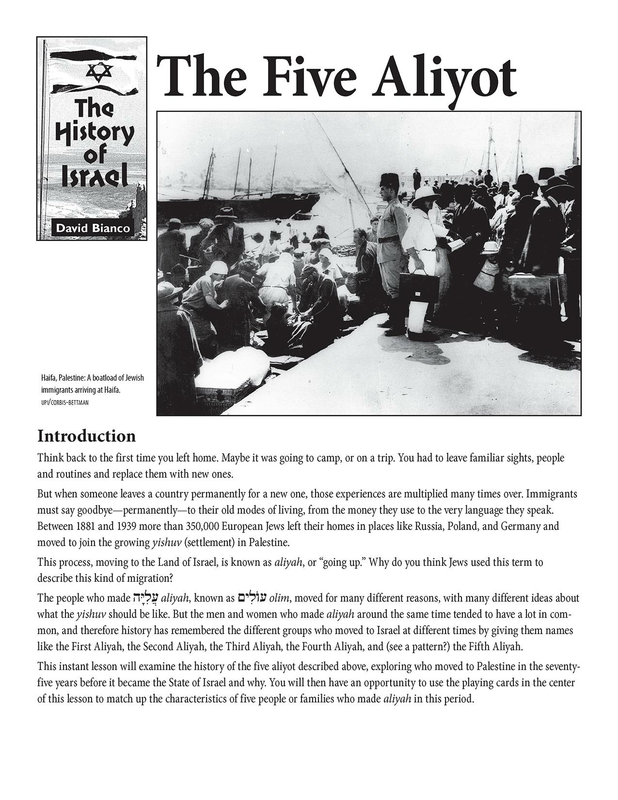 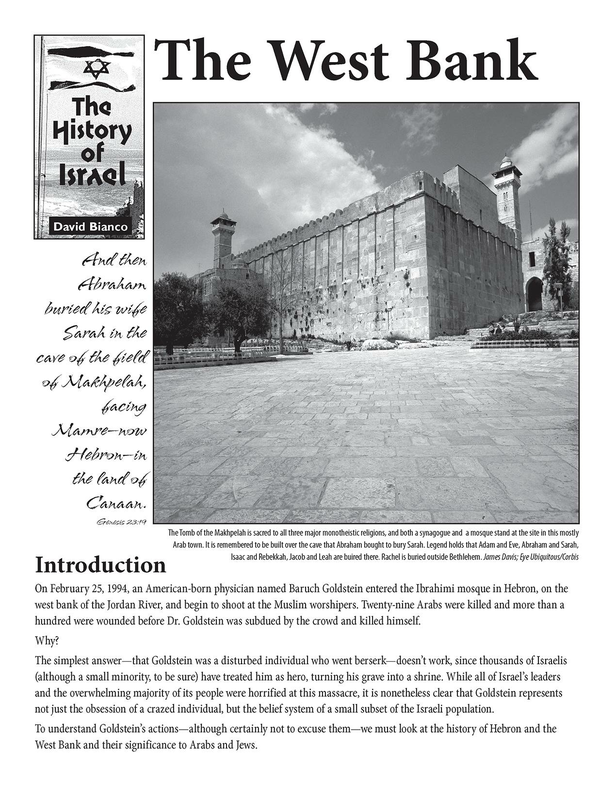 The Balfour Declaration lesson centers on the effect of World War I on the founding of the State of Israel. 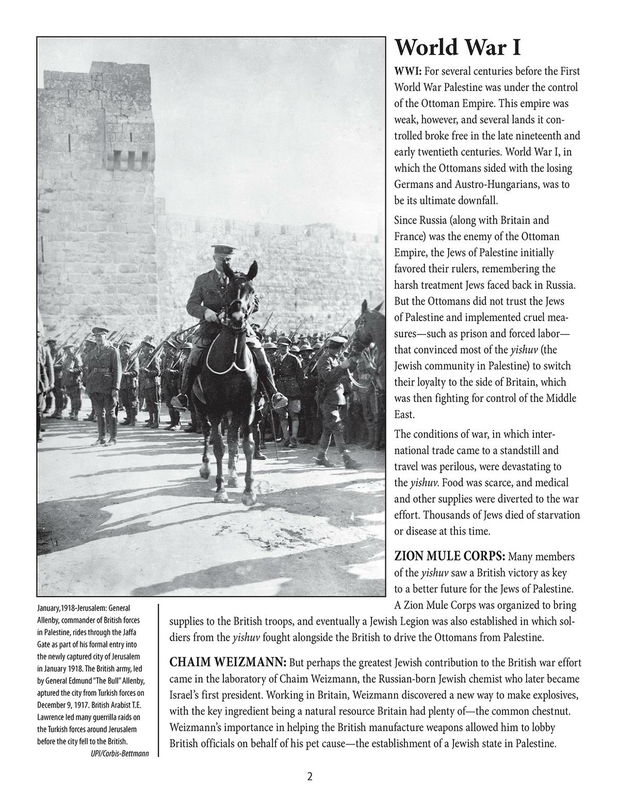 It tells the story of the Zion Mule Corps and of the impact of Chaim Weizmann on influencing British attitudes. 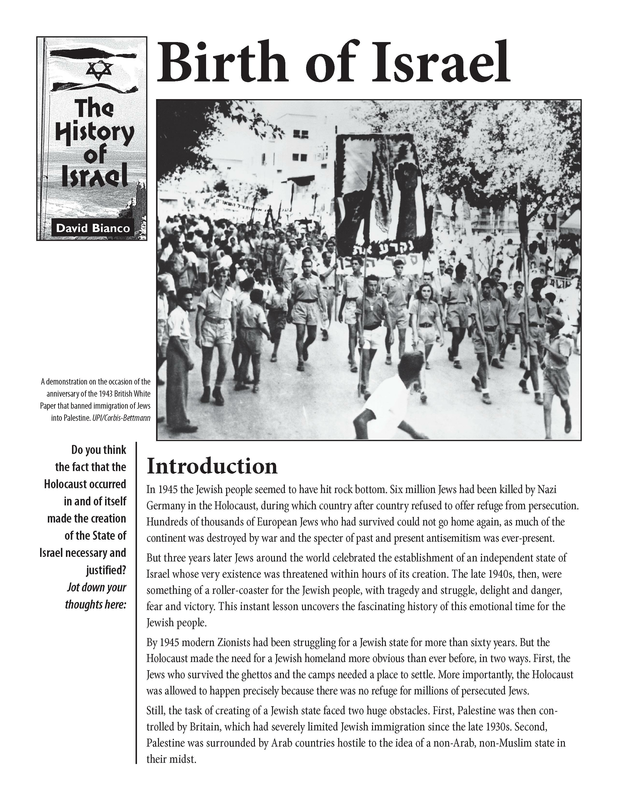 It also tells about the actual political process that yielded the Balfour Declaration and the Arab reaction. 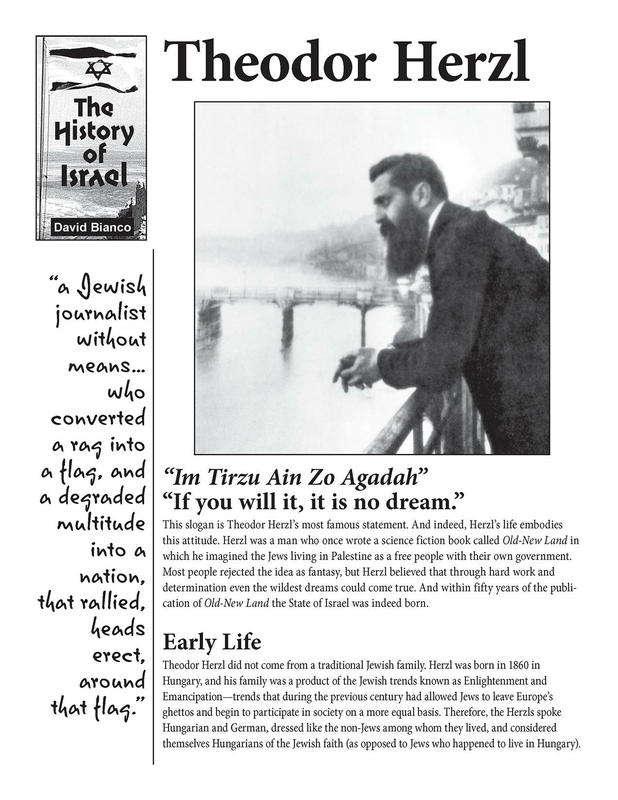 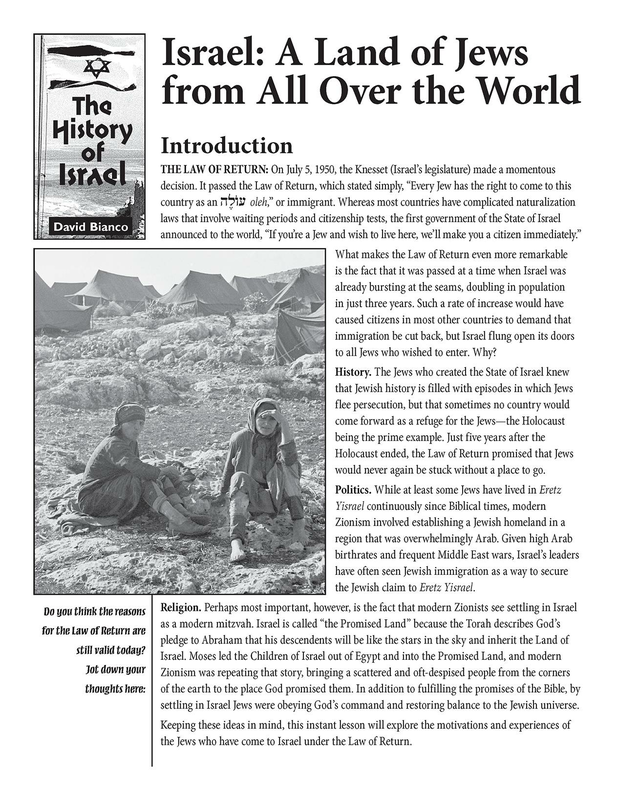 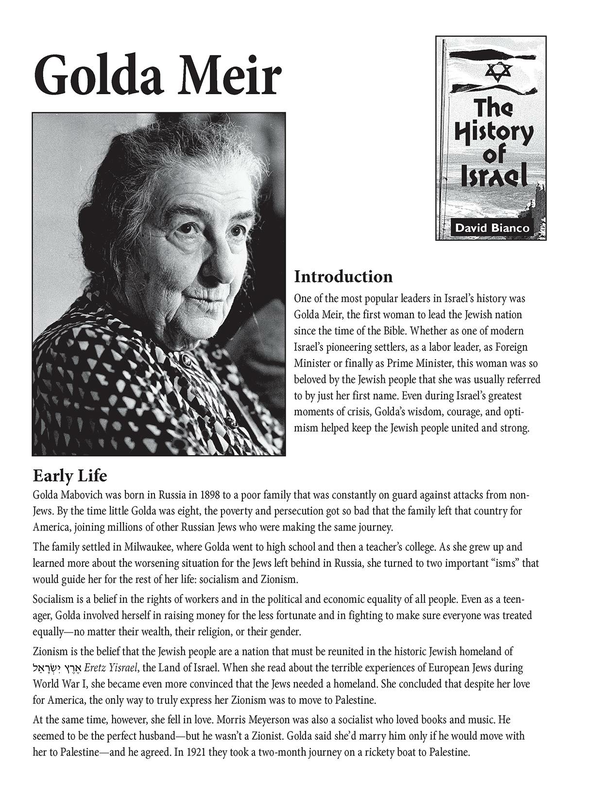 There are History of Israel lessons on the following topics.